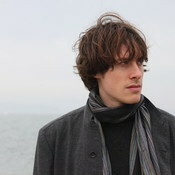 Tommy Wallach is a Brooklyn-based musician and novelist. He is the author of Thanks for the Trouble and the New York Times bestselling We All Looked Up, which has been translated into more than a dozen languages. His fiction and nonfiction have appeared in McSweeney�s, Tin House, Wired, Salon, and other magazines. As a musician, he has put out an EP with Decca Records, as well as two independent releases, including We All Looked Up: The Album, a companion record to his first novel. He is a 2015 MacDowell Fellow and a finalist for the Children�s Choice Book Award.